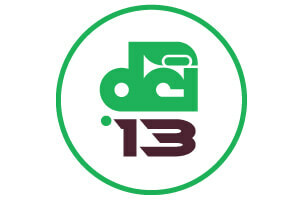 Blue Devils B Blue Devils B's 2013 production "Warped" will include works by James Sochinski, Michael Daugherty, Danny Elfman and staff composers John Meehan, Dave Glyde and Brian Dinkel. The corps is still recruiting members to join its brass and color guard sections for the summer of 2013. Blue Devils C Blue Devils C is still looking members to join its color guard, brass and front ensemble percussion sections. No experience is necessary. Blue Knights Getting an early start on their spring training rehearsals prior to Memorial Day, Blue Knights have been hard at work in Denver on their 2013 production "NoBeginningNoEnd," which will feature musical selections by Clyde Otis, Pat Metheny, Jay Bocook and Ralph Hardimon. Blue Stars Blue Stars posted a new video giving fans an inside look at the corps' first day of spring training rehearsal. Bluecoats Bluecoats' "The Blue Way" educational summer camp for brass, drummers, color guard and drum majors will take place June 1-2 at Denison University in Granville, Ohio. Boston Crusaders Spring training is underway for Boston Crusaders members, who are settled into Nichols College in Dudley, Mass. The Cadets The Cadets are looking to fill openings in their tuba, baritone and color guard sections. Carolina Crown Carolina Crown is in need of a van driver for a four to five week stretch in June and July on the corps' summer tour. A CDL is not required but applicants should be at least 21 years old. The Cavaliers The Cavaliers will host a fan appreciation night on Saturday, June 15 at Eastern Illinois University's O'Brien Stadium. The event, which is free and open to the public, will include a dress rehearsal of the corps' 2013 production "Secret Society." Colts The Colts recently received a $25,000 grant from the Dubuque Racing Association (DRA). Since 1987, the corps received more than $340,000 in grants from the DRA to support its operations. Crossmen Crossmen announced a new partnership with Love Custom Designs, a company that specializes in digital printing. Gold Tickets for the SoCal Sneak Preview featuring Gold, Impulse and Pacific Crest on Saturday, June 15 are now available. Jersey Surf Jersey Surf's second annual "We the People" Memorial Day event featured a patriotic display of more than 625 American flags and a performance by the corps. Legends Legends needs volunteers to staff its booth at the Festival of the Arts in Grand Rapids, Mich., June 7-9. Music City Music City is in need of tuba players to join the corps for its 2013 summer season. Interested individuals should e-mail the corps for info about submitting a video audition. Raiders Raiders has openings in its color guard and brass sections. The corps' next scheduled rehearsal camp is this weekend, May 31 to June 2 in Burlington, N.J.
Spartans The Spartans are still recruiting members to fill out the corps' brass section. The corps is looking to fill the positions immediately and some experience is required. Santa Clara Vanguard Follow Santa Clara Vanguard's blog posts from the road as they kick off their spring training rehearsals in Weed, Calif. Troopers Troopers will debut new uniforms this summer that are said to resemble the look of the corps in the mid 1980s. "Smoke grey trousers with a black front stripe are topped with a high-waist blue jacket. Eleven buttons embellish the jacket. The look is finished with a black satin cummerbund with a gold cross sabre on the front hip, a black and white drop sash, and white gauntlets with gold piping." Check out a photo on the corps' website.